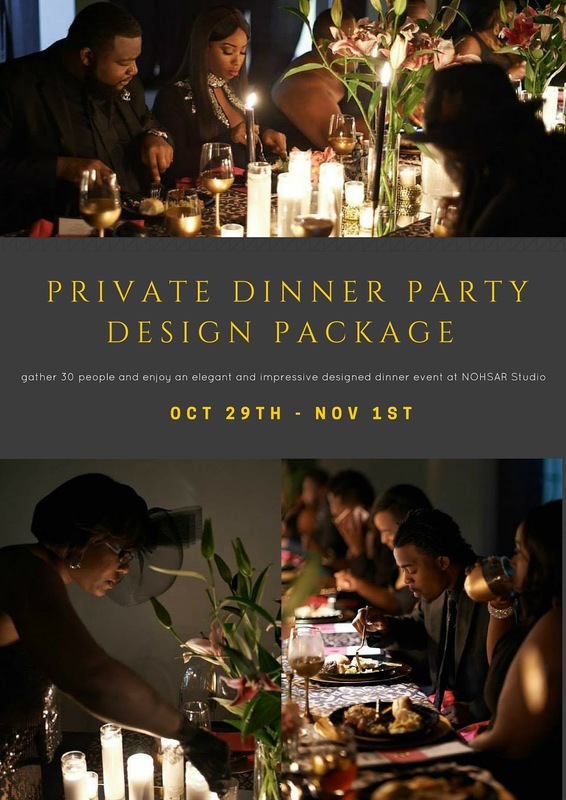 I am so excited to introduce my Dinner Party Design Package at NOHSAR Studio. 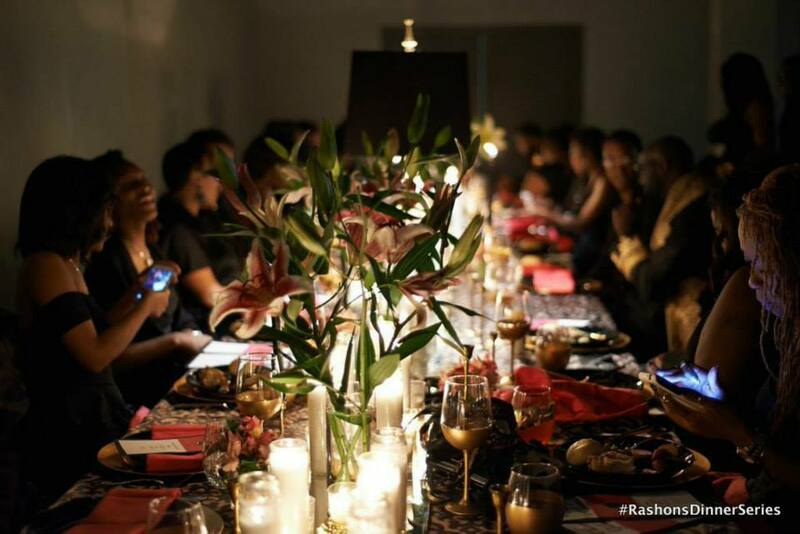 Every year I host host an All Black Masquerade Dinner, however, this year I am lending my design skills to you! NOHSAR is my design studio, which is located in Charlotte, NC. During the day my studio is used as a creative outlet in fashion and interior design. In the evenings, the space is transformed into a private event space for friends and friends of the business. What better way to utilize my studio than to offer a fully designed tablescape for others to enjoy at a reasonable rate. Here is what NOHSAR Studio will be providing. My team and I will take care of the hardest part which includes the setting up, the break down and the clean up. All you have to do is bring the food and the people! We don't provide food because everyone has their own preferences and we want to make sure you get exactly what you want. If you would like to make a visit to NOHSAR Studio please email email me directly rashon@rashoncarraway.com. The cost for this 3 hour event package is $500 and is paid in full at the time of reservation. We will provide complimentary bottles of wine to the first three paid in full reservations.